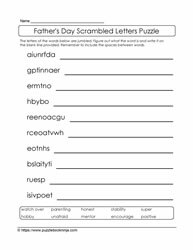 Are you looking for a way for puzzles to support student learning? 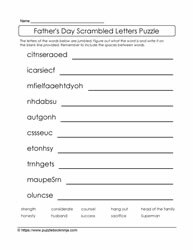 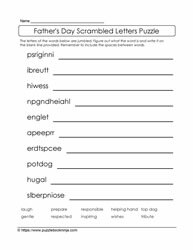 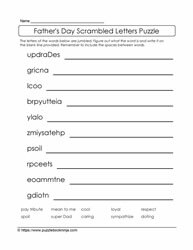 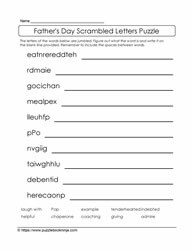 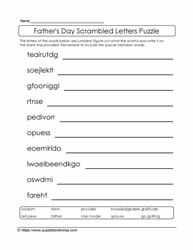 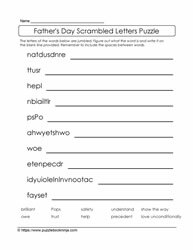 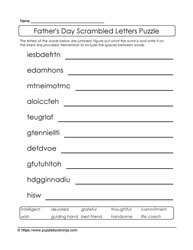 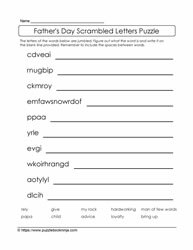 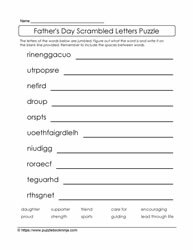 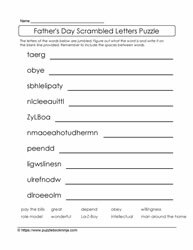 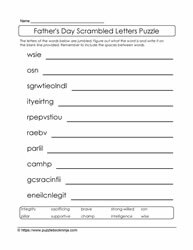 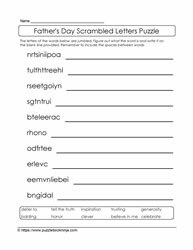 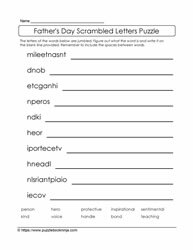 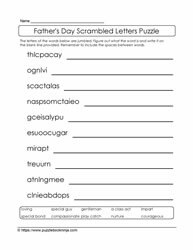 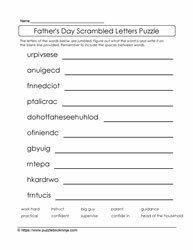 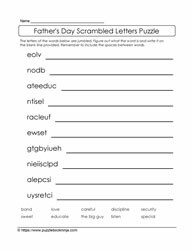 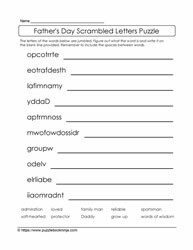 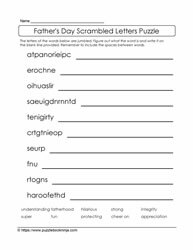 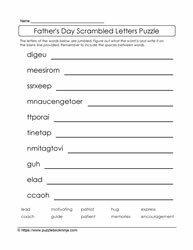 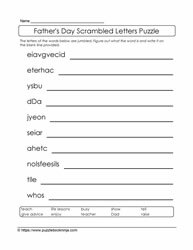 Use these Father's Day scrambled letters puzzles as a challenge to students to consolidate spelling and vocabulary building. 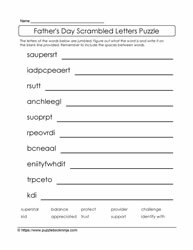 As students' brains work to unjumble the letters for each word their brains are also consolidating letter patterns for that word. 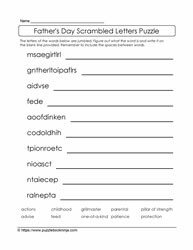 Progressing through the puzzle solutions, students' brains are working to build Father's Day vocabulary. 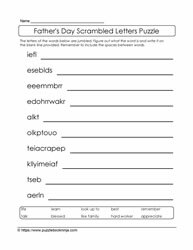 To solve the puzzles students need to unjumble the letters and then record the answer on the line.